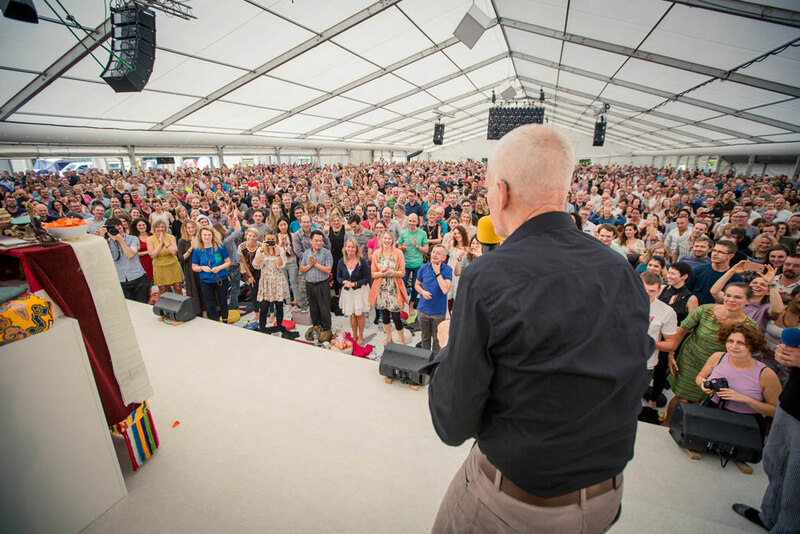 On the last day of the course, Lama Ole reached out to his students in the Summer Course tent and all over the world with this touching speech we would like to share with you. “Never give up! Never stop looking for the very best! Never stop yourself making a step to be kind to others! Never stand there saying: “I am doing quite well middle size!” You have to be top size. Kindness and braveness – this is what the Buddhas expect from us and what Karmapa and Rinpoche expect from us, and I’ll kick your behinds if you don’t give it! The world is a difficult place and changes many, many times! Therefore, every day: take refuge, think about your transmission lineage, think about our great Lamas that give us an example for what can be done with a human life. Every day is the first day of the rest of your life! It is really important that you make every day count! Go step by step. That you don’t see somebody to be too difficult, but you make a few good wishes for them if you have no time for something else. And that you are good examples! That you are brave! That you are happy! That you give energy to others! That you bless others with all the things you have and get here!